Say hello to my newest favorite potatoes. The spices on these sweet potatoes are so awesome and can be used in so many ways to liven up these beautiful, orange delights. 2. 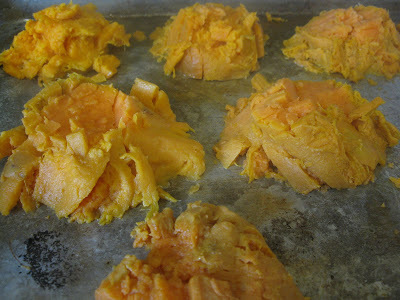 Boil the sweet potatoes until soft, take off the skins, and then cut them into 3rds or 4ths. 3. Smash them with a potato smasher and and then brush them with melted butter. 4. 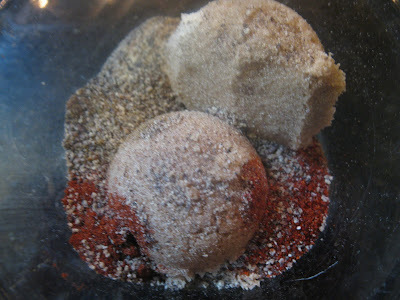 Sprinkle them with 1/2 of the seasoning. 5. Roast them, or fry them up in a pan with butter or olive oil. Turn them over and sprinkle with the remaining seasoning. Make sure you get a yummy, golden crust on the potato. It's the best part! Serve with fresh cilantro on top. It is over the top delicious! The seasoning would be great mixed in with just a regular baked sweet potato with butter. This was adapted from DLYN. 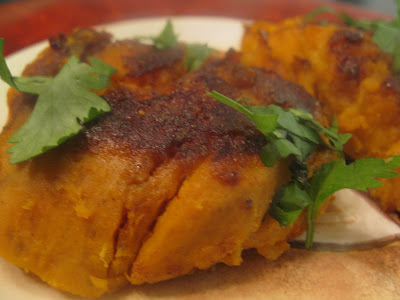 I love sweet potatoes and I am always looking for new ways of serving them. What a wonderful blend of spices. I will definitely have to try this one. A bit of sweet AND spicy, all on a sweet potato! These sweet potatoes sound delicious! I love the mix of mix! I love finding new ways to use up sweet potatoes. They're so healthy and so yummy! Great idea! These are over the top delicious! 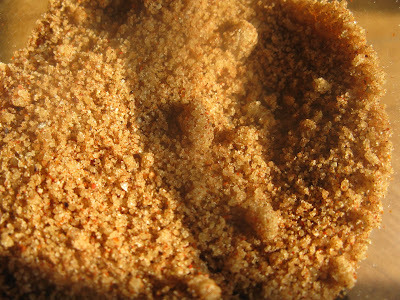 What an awesome spice mixture you put together! Yum, those do sound and look good! I love sweet potatoes. what a beautiful ball of deliciousness! (sorry made up that word :) I love how colroful and yummy they look! I've seen this done with potatoes, but never sweet potatoes. Great idea! Hey Melody! Thanks for the kind comments on my blog! 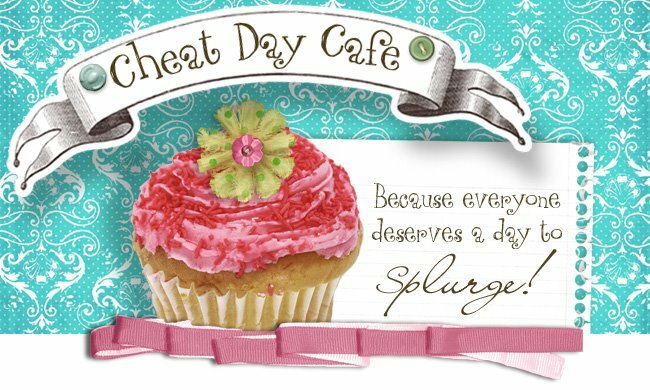 I look forward to following your blog and your yummy creations. 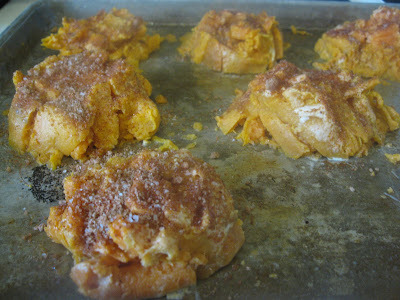 I am always on the lookout for new sweet potato recipes - bookmarked! Can't wait to try these. 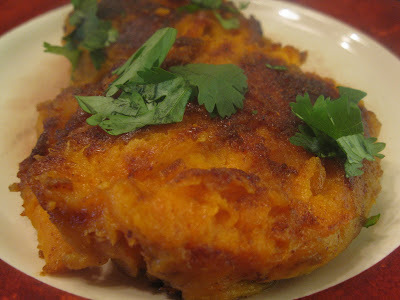 I love the idea of sweet and savory mixed in with the sweet potato- then the crispy edges? Too much!! Melody.. these look absolutely fantastic. I bet the flavor is wonderful. What a great idea. Love it! Oh yum! I love sweet potato anything. Maybe I'll make these with dinner tomorrow. Those sweet potatoes look amazing! I love how you added cilantro on top. Holy yum! oh my gosh, it's like eating candy, without the guilt! these look incredible! I've got to try these! They sounds like the Sweet Potato version of Pioneer Woman's "Hot Crash Potatoes" and I'm addicted to those. My hubs will love these and I'll bet they'd go great with his favorite brown sugar glazed salmon. Thanks! Whoa! I just made these for dinner tonight and I LOVED them! I'm the only sweet potato lover in the house, and I ate a lot of them!